We can prepare you for Cambridge Exams such as FCE, CAE and CPE. In our Advanced Classes we prepare students for IELTS and CAE. Alternatively, you can opt for private lessons that focus on your particular requirements. Our teachers will help you improve and learn the exam techniques required to pass these exams. This exam is accepted by all UK universities and is great for improving your academic skills. Here at Golders Green College we provide excellent preparation courses for the International English Language Testing System (IELTS) exam. Our IELTS course will develop your key academic reading and writing skills and give you the confidence to participate successfully in college life – and beyond! 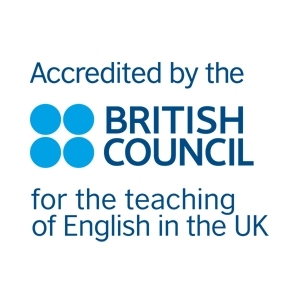 The Cambridge FCE (First Certificate in English) is the most popular exam prepared at Golders Green College. It is the first very clear milestone on a road to Proficiency. If you are a B2 level student then taking the Cambridge First Certificate Exam proves to the world your success. The Cambridge CAE (Certificate in Advanced English) exam is your natural next step after you have mastered the FCE. The CAE exam is accepted by thousands of universities and employers as evidence of an outstanding achievement in language learning. Preparing for C1 Advanced helps you develop the skills to make the most of studying, working and living in the UK. The Cambridge CPE (Certificate of Proficiency in English) qualification shows the world that you have mastered English to an exceptional level. It proves you can communicate with the fluency and sophistication of a highly competent English speaker. Preparing for and passing the exam means you have the level of English that’s needed to study or work in a very senior professional or academic environment, for example on a postgraduate or PhD programme. Tracking your progress is the key to pass any exam and every week of the course you will face tough tests and practice papers. The course tutor will monitor your progress towards success in the Cambridge exams and make recommendations throughout the course. Passing any exam is not easy and will need you to make a really serious commitment to learning and studying – but doing that with the team at Golders Green College is the best way to do it.